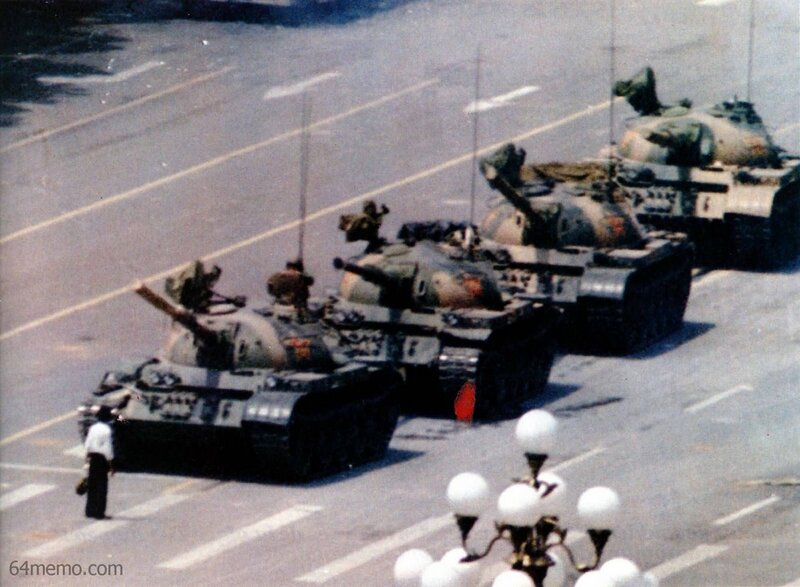 Social media brings Chinese public remembrance of the "June 4th Incident" to an unprecedented scale. To celebrate June 1 Children's Day, Chinese portal site NetEase.com released a slideshow of nostalgic toy cars. "Do you remember these sweet toys in your awesome childhood?" the editors asked. Readers didn't expect the seemingly lighthearted sideshow to include a Lego recreation of the "Tank Man" blocking the People's Liberation Army near Tiananmen, an iconic image from the 1989 protests in Beijing and subsequent crackdown that resulted in the deaths of hundreds. "You are a brave editor," someone commented. "A great way to let our children remember our history," another commenter said. "He was not run over by the tank that day. His name is Wang Weilin. No one knows what happened to him. They 'evaporated' him." By the end of the day, the photo was removed from the slideshow, but not before becoming a minor internet sensation. The slideshow was published just three days before the 24th anniversary of the Tiananmen Square massacre, as many on China's increasingly hard-to-censor social media plotted inventive ways to commemorate the June 4 victims. Since early in May, many have been calling people to wear black shirts in silent protest on June 4, or light candles in their homes. Below are some of the online images and memes that have outrun, however briefly, the official censors' gaze. You can read the cause of death for all 191 identified victims (in Chinese) at 64wiki.com. Testimonial by 丁子霖, a well-known activist for Tiananmen victims: "when I found my son's body at the morgue that day, the doctor told me to take one last look at him and run away as soon as possible. 'The army's coming to take the bodies and destroy all evidence,' he said. I wanted to hug my son's body one last time, but the guards grabbed me as soon as I stepped closer." TiananmenMother.org has become one of the most important news and social media sites for the families of victims looking tell their stories around the world. With Hong Kong now open to many Mainland Chinese tourists, major shopping districts become prime real estate for Mainland-visible protests. Among the words scrawled on the tank is "End the CPP's dictatorship," "democracy is a Chinese dream," and "remember the dead of 6/4." "We hope that your son is resting in peace." "The PRC must publicly reveal their causes of death and give them justice." "We're with you, and god sees everything. Do not give up. Do not lose hope. Millions of comrades here and around the world support you! Redress June 4th! Give these children justice. We beg you to stand strong and carry on." Photos of Xu Qinxian, commander of the 38th Grand Army who refused to use force against protestors. He was court-martialed and jailed for five years. Photos of Ai Hu-sheng, who led the tank squadron into Tiananmen. "Help our patriotic students' movement. Down with Corruption! Down with the officials!" "We don't need to congregate. We wear black today to show our power, to remember our slain heroes." Comics Editor + Chinese-English Translator. Contact Kevin Tang at kevin.tang+DONE@buzzfeed.com.